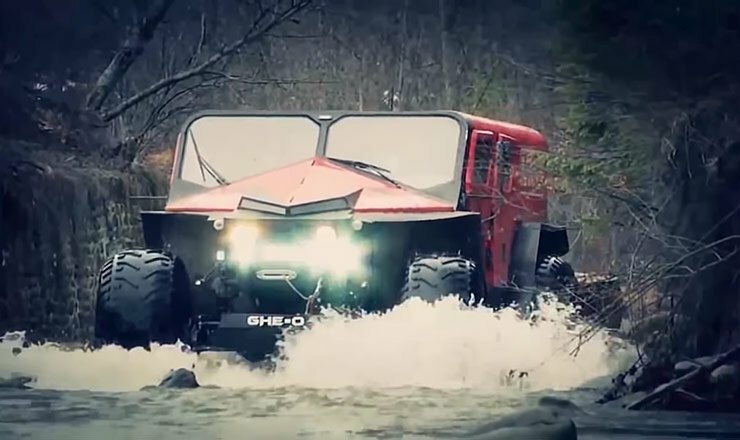 GHE-O Rescue is ultimate disaster response vehicle, which can tackle the toughest terrain and rescue scenarios. 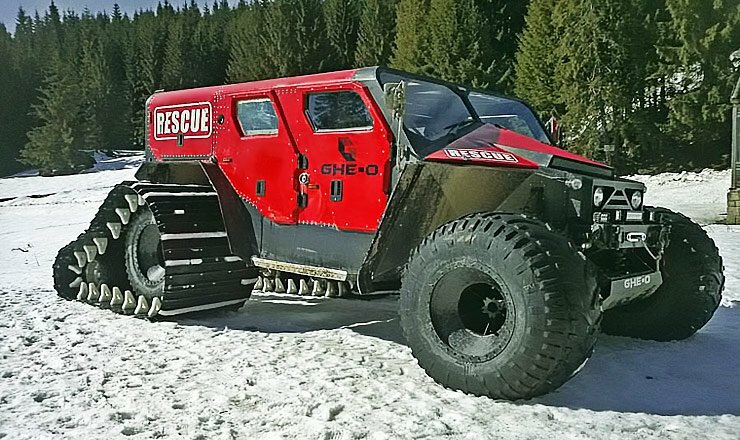 Romanian businessman Robert Opera teamed up with Ghe-O Motors to design the Rescue, the most extreme disaster response vehicle ever created. 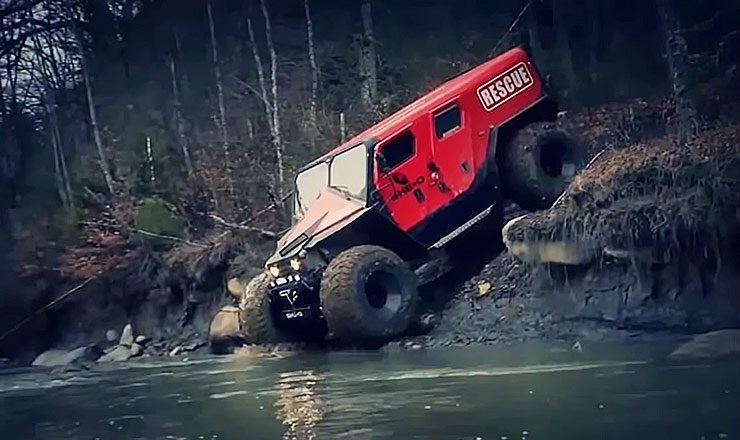 Ghe-O Motors makes a few pretty awesome off-road machines, but it’s the Rescue model that takes the cake, which in this case is not a lie. 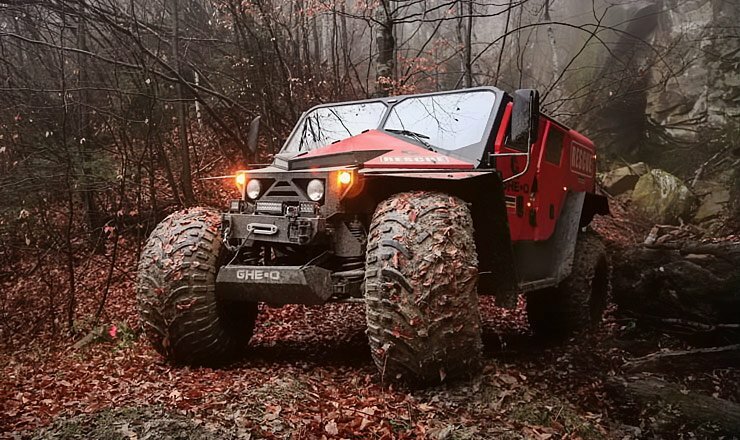 Ghe-O Rescue could give emergency services the edge they need to tackle some of the toughest terrain and rescue scenarios. With its pneumatic pillows that are installed on the wheels which will actually make the vehicle traverse effortlessly across such barriers and surfaces. 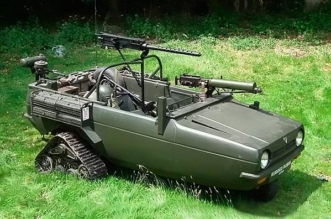 The ground clearance is hard to beat, and best of all, the Rescue can easily be customized to carry fire fighting equipment or other rescue platforms. This all in one machine handles snow, floodwaters and even fires, potentially making this the first man-made vehicle that’s stronger than Mother Nature. The Rescue can transport up to 11 passengers over any and all terrain. 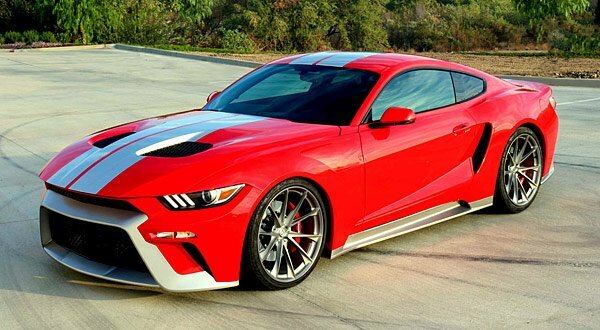 It’s a custom-built truck suitable for transportation, medical support and fire extinguishing capabilities and is capable of reaching speeds of up to 100mph. The GHE-O Motors Rescue Vehicle can operate on gasoline (340 hp and 500 hp) or diesel (218 hp and 304 hp) and the engines can also be altered so that they can have additional water and electromagnetic protection for use in the Military. 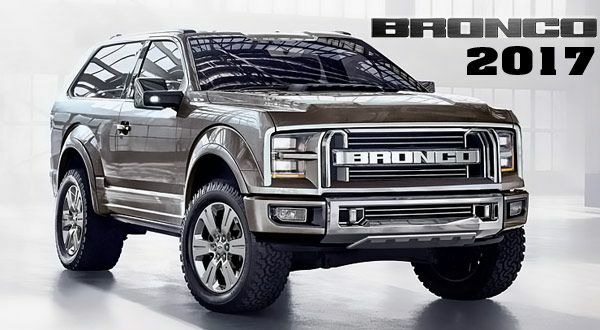 This type of power is necessary for an all-terrain vehicle, but also because of the sheer size of the vehicle itself. 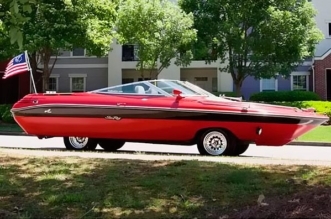 The GHE-O Motors Rescue Vehicle measures in at 17 feet in length, 8.8 feet in width, 7.8 feet tall, and a weight of 6,400 pounds (about 500 pounds lighter than the H1). Outfitted with heavy-duty transmission and lockable axles the GHE-O Motors Rescue truck is one of the most capable vehicles on Earth.